On Sunday, Nigel Richards of New Zealand became the first player ever to win the World Scrabble Championship for the second time. His win was aided by a 95-point play of the word “omnified”. 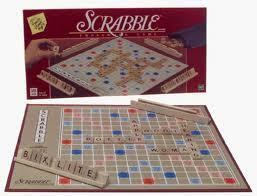 At this level of play, Scrabble is less about vocabulary and more about pattern-recognition and calculating probabilities, which is why you may often see contestants with a limited knowledge of English. But this doesn’t detract from the seriousness with which contestants treat the game. Earlier in the tournament, a “G” tile went missing during a match, and one of the players demanded that the other be strip-searched for it. The judges did not agree and simply replaced the tile after having both players empty their pockets.